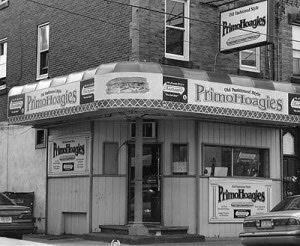 When the original PrimoHoagies opened in South Philadelphia, it seemed as if there was a hoagie shop on every street corner. PrimoHoagies knew that they needed to differentiate themselves from the competition and to emphasize the authentic Italian style of the hoagie, which is how it was originated. It didn't take long for the neighborhood to realize the quality and authenticity that PrimoHoagies was serving. In a short period of time, lines began to form. The buzz in the neighborhood was tremendous. The demand for the product became so great that the decision was made to franchise the system. PrimoHoagies stores were beginning to pop up throughout Pennsylvania and New Jersey. PrimoHoagies’ unrelenting commitment to quality and consistency has led to the explosive growth that you see today. The success of Primo is attributed to an excellent, long-tenured staff that regularly serves up a combination of quality, consistency, and originality. Our large and diverse menu features dozens of Specialty Hoagies, most of which are our very own original creations. 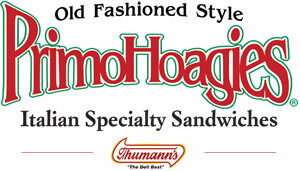 Primo Hoagies are always made fresh to order, using only the finest Thumanns gourmet quality meats and cheese. Through this expansion, Primo has managed to uphold the quality and consistency of product and service that has made us a favorite in every region that we are located. We will continue to be stringent in the selection process of prospective franchisees to ensure compatibility and sincerity for the right to join the Primo family and represent our name to the high standards that we've set since our inception. Our first and foremost priority is to never compromise our outstanding product and unique concept. This is our guarantee to our loyal and ever-growing clientele. So remember, "It's not just a hoagie... It's a Primo". We are looking for people with a passion for our product and owning their own business. People that are driven. A drive to succeed and to be the best you can be is a quality that will increase your likelihood of success. Do I need to be an owner operator? Yes, we require our franchisees to have an active role in the operation of our stores. Our best stores have the feel of a neighborhood deli. We believe our superior product will get the customers in the door but a relationship to the customer and the community can take you to another level. Once a location is approved and a lease is signed, your goal would be to open in 90 days from that date, barring unforeseen circumstances. We are very proud of our training. We require 2 people to train for 80 hours before the opening of the store. We will also have personnel in your store during your opening to assist in the training of your employees. The time we are there will vary based on your needs. Our philosophy is that training never ends. We will always be there to help you tweak and improve your operation. What type of support should I expect from corporate? As with training, we will always be there to support you. We have an infrastructure built within our company that has personnel to support you with all of your needs. From operations to accounting, we have people that you can lean on when they are needed. We pride ourselves on the level of support that we provide. Interested In Owning A PrimoHoagies® Franchise? Please complete the form below! We look forward to speaking with you! @jjbad10 No official date yet @jjbad10 ... But stay tuned to this page and when we make the announcement you'll be the first to know! @elcitro Oh No... @elcitro, Sorry about that Dave. We hope that you can forgive us for the missing cheese. Won't happen again!